I've been wanting to try out the whole jumpsuit thing for a little while now, and my wishes came true with the arrival of this lil' black beauty from Love. It's so comfortable owing to the jersey material, and the fit is absolutely perfect! It's so flattering, and I cannot wait to get the chance to wear it out - hopefully during some of the festivities fast approaching this month! It also comes in lots of otherNow that I've been bitten by the jumpsuit bug, I've been obsessing over all things all-in-one; I adore this one and this one from Topshop, and also love this (slightly more purse friendly) Missguided offering. Jumpsuits make a great slightly bolder alternative to a dress, and there's absolutely no danger of flashing your undergarments after tripping over an unseen pocket of air because your heels are ridiculously high and you've had a few too many; not that I've ever experienced this, of course..
Wowza only £5 for the New Look clutch! May have to pop in and purchase. You look amazing Hun and that waist! love the outfit but those heels, they're perfection! 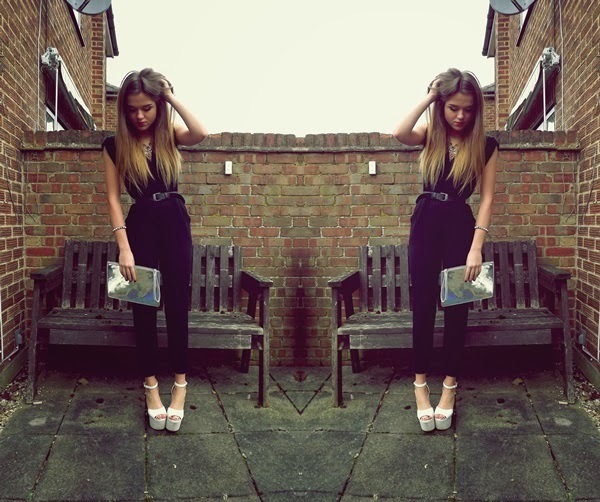 I still haven't got into the whole jumpsuit thing, I worry that they'll be really long on me :( Did you find this one long? A M A Z I N G BLOG! & Love This outfit!! 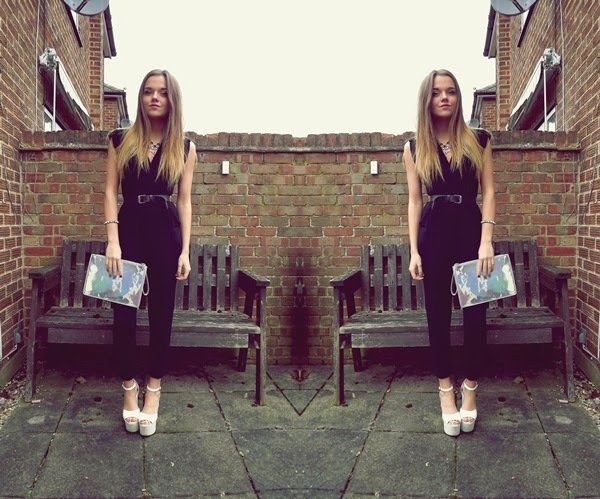 Thank jumpsuit is lovely, you look gorgeous!